(KAZINFORM) - Forum of near-border regions of Kazakhstan and Russia turned to be very actual and effective, Russian President V. Putin has said at a press conference today after the forum in Uralsk town, reports Trend. We have taken active part in the work of the third conference and it was a very fruitful talk about prospects of near-border interaction of our regions, he stressed. I am sure that ideas and initiatives proposed there will be successfully realized, the President added. He also thanked Kazakh leader for the initiative on holding the forum and citizens of Uralsk for warm reception. 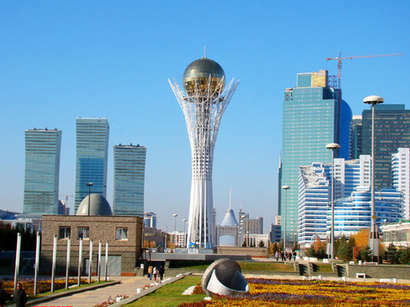 According to Nursultan Nazarbayev, all agreements achieved within the framework of analogous forums in Russian towns of Omsk and Chelyabinsk in 2003 and 2005 have been successfully implemented.